At The Village Orthodontist, Dr. Moles and his friendly team are very proud to provide children, teens and adults with the highest quality, personalized orthodontic care using all the latest orthodontic appliances and technologies. Because we know each patient we serve is unique with his or her own needs and desires, we offer several types of braces. From the latest children’s braces to discreet and convenient removable aligners for adults, we’re sure to have the right treatment option for you that matches your orthodontic needs and lifestyle. Our practice offers SPEED Brackets for our patients who would like to enjoy shorter and more comfortable treatment. These braces which are self-ligating, use less friction to move teeth. SPEED brackets use an energy-storing component called a ‘spring-clip’ to straighten teeth. This clip works like a computer chip inside your braces which Dr. Moles ‘programs’ when he places the braces on your teeth. This special spring clip, which is made of a super elastic, high-tech material, follows Dr. Mole’s programmed instructions by applying light, continuous forces to gently move the teeth. This results in less discomfort, fewer appointments and faster treatment. And since SPEED brackets are smaller than conventional brackets, they look great and make it very easy to maintain good oral hygiene for the entire time you’re improving your smile. More Comfort: SPEED brackets are miniaturized appliances that are typically one-third smaller than standard metal braces. This makes them more comfortable to wear than regular braces. And since the brackets are self-ligating, the do not use any elastic ties. This reduces the pressure that is applied to the teeth and decreases friction, allowing the teeth to move more freely and more comfortably. Discreet: The small size of SPEED brackets makes these braces much more discreet than regular braces. When you’re wearing SPEED braces, you can feel great about how your smile looks, knowing that people are concentrating on you and not your orthodontic appliances. Easy to Keep Clean: Because of the small size of SPEED brackets which have rounded surfaces, it is far easier to keep your teeth and braces clean. This helps ensure that no dental problems like tooth decay can derail your orthodontic treatment process. Below are some of the questions Dr. Moles and his team often hear from our patients who are interested in being treated with SPEED brackets, along with the answers. Q: What are Self-Ligating Brackets? A: Self-ligating brackets are tie-less, meaning they do not use any elastic or metal ligatures or ties that connect the archwire to the brackets. Instead, self-ligating braces use a built-in movable component to entrap the wire. Q:How do self-ligating braces work? A: Self-ligating braces use a “sliding-door” technology in which the archwire slides through the brackets as the teeth move. This allows the teeth to move more freely, quickly and comfortably. And since the slide technology reduces friction between the brackets and wires, fewer adjustment appointments are needed. Q: Are SPEED braces the only type of self-ligating braces? A: No. There are other self-ligating braces available including Damon braces, In-Ovation braces and SmartClip braces. But SPEED braces have been available longer than the others and have been proven more successful. Q: How long does treatment take with SPEED brackets? A: Treatment with SPEED braces typically lasts for 6 to 9 months which is far shorter than the average 12 to 20 months treatment typically takes with conventional metal braces. Q: How could I benefit from wearing SPEED braces? A: SPEED braces offer many benefits including more comfort, quicker treatment and treatment that is is very efficient in creating a healthy bite and attractive smile. It is easy to keep your teeth clean when you’re wearing SPEED braces as there are fewer places where food debris can become trapped. Plus you can smile with complete confidence when you’re wearing these small and comfortable braces due to them being very low-profile in nature. 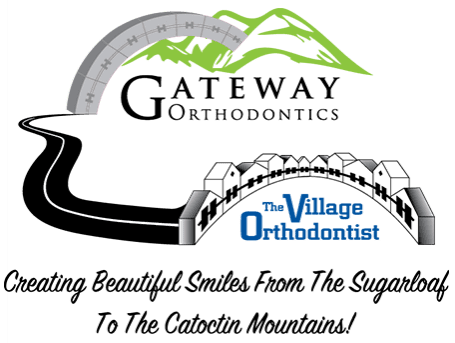 As a leading Urbana & Frederick MD orthodontics practice, The Village Orthodontist provides patients of all ages living in and around Frederick County with exceptional orthodontic care using the very latest orthodontic appliances and technology. When you’re our patient, we will treat you like family and provide you with the personalized treatment and top-notch service you deserve! If you would like to find out if you are a good candidate for SPEED brackets, please give us a call at (301) 874-4747 or schedule an appointment online with us today. We look forward to seeing you soon and helping you achieve the straight and beautiful smile you’re dreaming of!